Pasta is great for even the pickiest eaters, and cooking veggies in the sauce is a surefire way to sneak in extra nutrition. 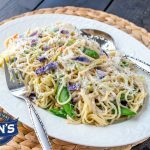 Depending on how you prefer the consistency of your pasta sauce, you can thin out your alfredo sauce with some of the pasta cooking water to better incorporate all of the Broccoli Cole Slaw. 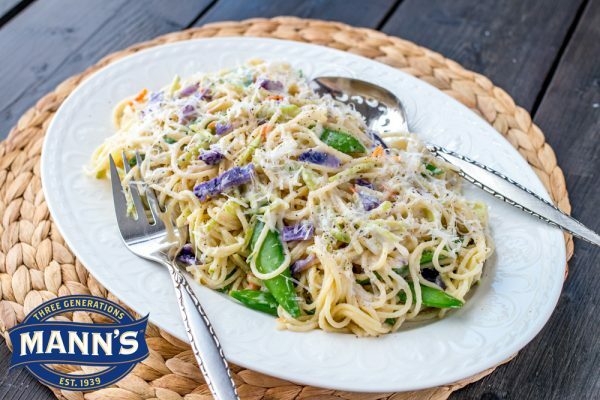 In medium saucepan, combine Mann’s Broccoli Cole Slaw® with the Alfredo sauce. Cook partially covered over low heat, stirring occasionally until heated through. Meanwhile, in large pot of boiling salted water, cook vermicelli according to package directions. 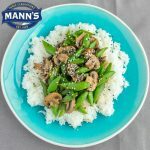 Drain vermicelli and pour into large heated serving bowl, Add Mann’s Sugar Snap Peas to Broccoli-Vera sauce mixture, tossing gently to coat. Taste for seasoning, adding salt and pepper as necessary. 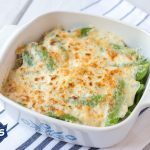 Top each serving with 1 tablespoon of Parmesan cheese. 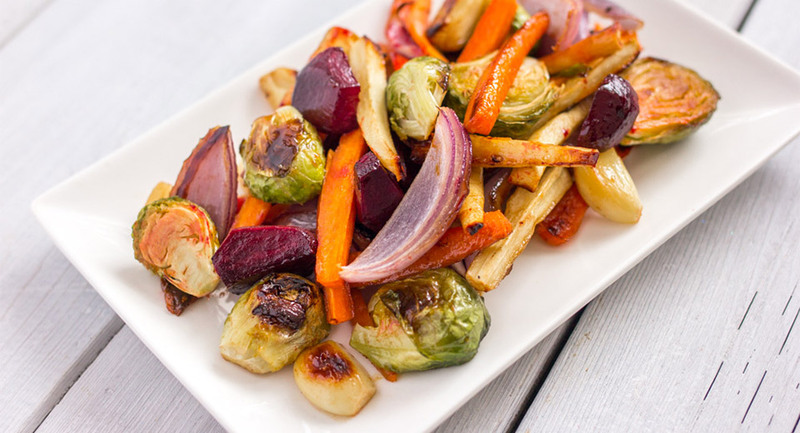 This recipe is kindly provided by our featured member, Mann’s.